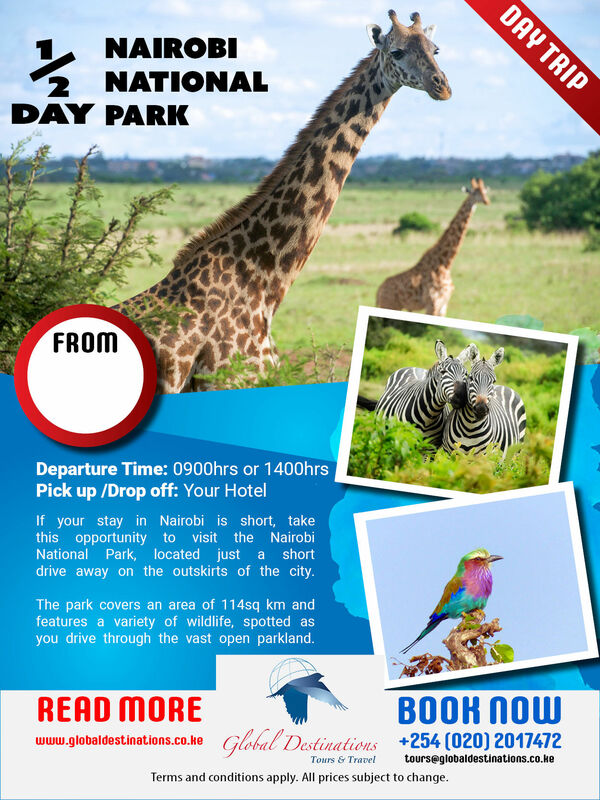 If your stay in Nairobi is short, take this opportunity to visit the Nairobi National Park, located just a short drive away on the outskirts of the city. The park covers an area of 114 sq kms and has a variety of wildlife to be spotted as you drive through the vast open parkland. You may see one of the rhinos, which still wonders free in this area. In addition to the game viewing in the park, the tour includes a brief visit to the animal orphanage near the park entrance where you can see the animal brought to be cared for until they are fit enough to return to their natural surroundings. This excellent half-day tour departs daily, both in the morning and the afternoon.